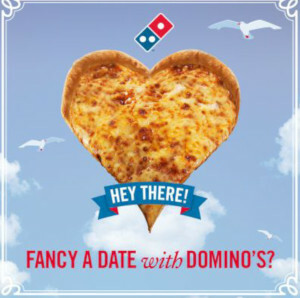 The “coolest” new dating trend? If Samsung has a say, your smart fridge will soon be your go-to matchmaker. 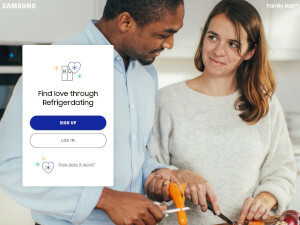 The electronics giant has recently announced its most surprising venture yet, a dating platform they’ve punnily dubbed Refrigerdating. Refrigerdating promises to help singles find love based on the contents of their fridge. “In a world of social media, polished pictures and perfect surfaces, it can be hard to find out who truly is The One,” says Samsung. “But there is one space in our homes to which the polish hasn’t reached.“ That space is the inside of your refrigerator, which, if Samsung is to be believed, can say a surprising amount about who you are and what you’re into. "We hope people can meet under more honest or transparent circumstances with the help of the contents of the fridge, because that can tell you a lot about the personality," said Elin Axelsson, PR manager at Samsung Electronics Nordic. Black Mirror, the twisted British sci-fi anthology series turned Netflix smash hit, is one of the last things you’d want to inspire a real-life business. The show is notoriously dark, dystopian and disturbing to watch, with an outlook on human behavior and technological advancement that’s designed to leave viewers devastated. Despite its bleakness, Black Mirror is consistently praised by critics and has become a cult favorite for fans - and now, against all odds, it has inspired an enterprising Reddit user to launch a dating app based on a popular episode from season four. 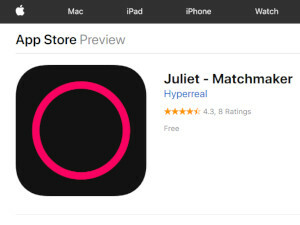 Twenty-four year old programmer and entrepreneur Julian Alexander introduced his fellow redditors to Juliet, an AI matchmaker, in a post to the popular AMA subreddit. You’re itching to book your next trip, but none of your friends are available and you don’t have a significant other. What’s a solo traveler to do? Apps dedicated to connecting travelers are on the rise. Some are explicitly designed to be digital matchmakers for singles with wanderlust, while others are intended to connect explorers looking for travel buddies or local guides. Here are five to try on your next adventure. TourBar is a mobile-first social network made to help jetsetters find dates or travel companions. Members can register as a solo traveler headed to a destination or as a local guide ready to reveal the best restaurants, beaches, bars and other must-see spots in their city. 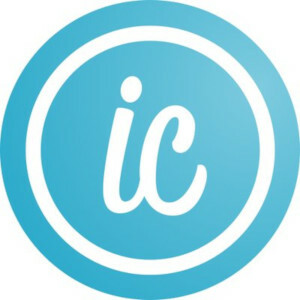 All users on the site are verified for a safer, less stressful international travel experience. TourBar’s ambitious goal is to become a platform for solo travelers of all kinds, where members can share travel plans and recent experiences with others looking to visit a destination. 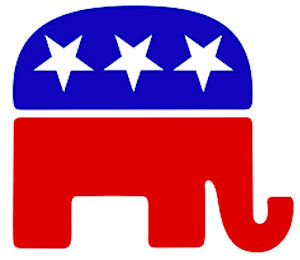 Republicans are having a tough time meeting people over popular apps like Tinder, Bumble and OkCupid. So in larger numbers, they are turning to specialty right-wing dating apps to find like-minded matches. A recent report from Vox examined this trend, noting that a growing number of profiles include the phrase “Trump supporters swipe left” – so that conservatives don’t even get a chance to strike up a conversation. OkCupid and Bumble have allowed members to state up front if they won’t date someone who doesn’t agree with their politics, making it harder for people on opposite sides of the aisle to connect romantically. Because of the brewing frustration among conservative daters, some new dating apps catering to the excluded crowd have grown in recent months. Righter, Conservatives Only, Trump Singles, Patrio, and Donald Daters all offer a politically-friendly alternative to daters who are feeling discouraged with their current options – including Trump staffers who, according to an article in the Washingtonian, said they were having trouble getting dates in D.C.